Devious and refined, the Clan of Shadows sees itself as the superior bloodline in a world governed by superior blood. Lasombra believe that whereas the Low Clans exist to shoulder the burden of Caine's curse, the High Clans — led by their highest clan, naturally — function as the inheritors of his majesty. They are the embodiment of Divine Right, and the absolute epitome ot Cainite existence. As a result, the Lasombra accept no other Cainites as equals, although they readily admit that each clan has its place in Cainite society. That place simply lies beneath that of the Lasombra. From its earliest nights, Clan Lasombra has been associated with the lands around the Mediterranean Sea, where the clan's founder is said to have been born and first brought into undeath so many millennia ago. Since then, his dark seed has crept outward, touching all the surrounding coastal lands and isles, including Iberia, Italy, North Africa and Byzantium. The center of this dark domain is the Castel d'Ombro (Castle of Shadows) in Sicily; wherein the Eldest himself is rumored to lie in fitful sleep. To this night, pilgrims of Lasombra's line come from all over to visit the shadowy isle in search of an evening's discourse with the patriarch of their blood — the Cainite king of kings — or his venerable regent, Montano. One characteristic endemic to the Lasombra character is an insatiable appetite for power in all its myriad forms. From the hushed quarters of cloisters to the glimmering halls of royal rule, Lasombra seek to entwine their shadowy tendrils around every realm of influence available to them. According to clan lore, however, such ambition is merely the outward manifestation of their internal struggles. The Lasombra claim that it is their curse to exist as eternal conduits to the Abyss itself, that they might be perpetually confronted by the inner darkness of the undead form. This curse has given the Lasombra an instinctual awareness that undearh is much more than mere feral subsistence, and many seek their own mastery of this eternal conflict through a rcconnecrion with rhe divine. One clan tendency feeds into another, as spirirual revelation drives many Lasombra into the arms of the Church — the greatest single source of power in the Medieval world. As such, the entire monolithic organization, from its lowliest parishioners to the papacy itself, crawls with the machinations of the clan and its numerous mortal agents. Indeed, many of the clan's most prominent members are those with the strongest ties to mortal religious institutions, such as Archbishop Ambrosio Luis Moncada, a Castilian ancilla with a great deal of power across the clan. The spread of Islam throughout the Iberian peninsula, however, saw a terrible rift appear throughout the clan. During the golden age of the Cordoban Caliphate, many Muslim Lasombra claimed vast demesnes in al-Andalus, signaling the dawn of a shadow war with entrenched Christian clan members already in residence. Even the Amici Noctis ("Friends of the Night"), the secretive ruling council of the clan, was split by religious differences: Just as many clan elders supported the mortal Reconquista as railed against it. Christian faction mounted a "Shadow Reconquista" to eject their Muslim clanmates and the tide of mortal fates have turned their way in recent rimes. Rumor has it that Montano has brokered a secret accord to ensure that Muslim Lasombra who accept the mounting Christian victories (and abandon their Muslim allies of other clans) can maintain their domains in the expanding Castile-Leon. If this agreement does exist, there are cerrainly Lasombra who reject it, such as the zealous Sultan Badr of Granada. Alrhough they are bitterly divided over Iberia, Christian and Muslim Lasombra find common cause in hatred for their clanmates in the Cainite Heresy. While the notion that the clan itself is of superior breeding appeals to even religious Lasombra, they draw the line at the system of beliefs those in the Heresy adopt. Lasombra Heretics have proven both subtle and powerful, and they comprise the majority of the Crimson Curia that rules that twisted church. 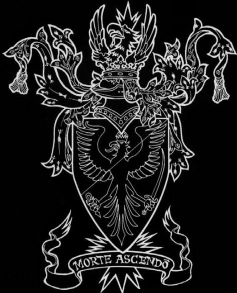 However, since the recent death of Narses of Venice, one of the sect's most prominent Lasombra, the Heresy has suffered many losses and found itself in a state of turmoil. Some feel that the end of the heretical movement may now be in sight, and pious Lasombra are debating putting aside their sectarian differences in order to crush the Heresy once and for all. Appearance: Lasombra hail almost exclusively from noble families, particularly those of Italian, Moorish or Spanish extraction. Features are often fine and well-bred, with dark or olive skin draped in the finest raiment wealth can provide. The exception to this rule lies in those Lasombra connected with holy orders, who often dress in vestments or other simple attire as befits their service to God. Haven and Prey: Often horn into wealth, many Lasombra take refuge in the manors or landed estates of their own mortal families. Some Magisters simply engage in a clever transfer of title by masquerading as their own inheritors after their transition into undeath, allowing them to retain pecuniary control over any former holdings. Such maneuvers also allow for convenient feeding, as significant numbers of live-in mortals are required to maintain such domains. Lasombra lurking among churchmen often feed from the lay of the congregation, although some feel a compunction against this sort of behavior and seek out sinners to punish with feeding. The Embrace: Lasombra typically Embrace from among the most highly regarded members ot whatever society they belong to. In these nights, this distinction includes individuals of title and station or (equally as often) men and women of the cloth. Innate aptitudes are highly regarded as well, as the Lasombra tend to view the Cainite condition as merely a magnification of an individual's latent capabilities. Many Lasombra take pride in those whom they would Embrace, wooing their would-be childer for months or even years at a time. Indeed, the length ot this dark courtship is a good indication of the sire's esteem for her fledgling. Character Creation: Magisters respect only excellence. Therefore, they prize Mental Attributes and Talents most highly, followed closely by whatever traits the vampire requires in order to excel at his duties. Although many Natures are appropriate for Lasombra characters, those that favor ambition or guile (such as Autocrat or Pedagogue) are the most common. Influence and Resources are common Backgrounds among Magisters, as are either Domain or Mentor, but rarely both; Lasombra do not appreciate being openly vassal to anyone. The majority of the clan walks either the Road of Heaven or the Road of Kings, although a dedicated few preach the clan's own puritanical Road of Night. Weaknesses: Magisters cannot be seen in mirrors or in other reflective surfaces, such as pools of still water or quicksilver. In addition, as creatures ot darkness and shade, the Lasombra are greatly pained by the garish presence of bright light, and they suffer an additional level of aggravated damage from any exposure to sunlight. Organization: On the whole, the clan's organization is a structured one, with position often stemming from a combination of factors such as age, ancestry and past accomplishments. Although few decisions that affect the entire clan are made in formal gatherings, the presence of the Amici Noctis provides an overarching semblance of order for the clan at large. Specifically, the Friends are responsible for the disposition of the Courts of Blood, a method of clan jurisprudence whereby one Lasombra may call for the blood of another, petitioning the Friends for the right to commit the Amaranth. Otherwise, much of clan policy is established in private chambers between a single Lasombra and his visitors, or in secret, between a trusted Magister and his Cainite liege… or prey.